Neoangiogenesis has been documented in small cell lung carcinoma (SCLC). In addition, antiangiogenic therapies are being tested in clinical trials that involve SCLC. However, study of the underlying mechanisms has been performed almost exclusively in cell lines. In the current study, we immunostained 30 biopsy samples of SCLC with antibodies to hypoxia inducible factor-1alpha (HIF-1alpha), vascular endothelial growth factor (VEGF), vascular endothelial growth factor-receptor 1 (VEGF-R1/flt-1) and vascular endothelial growth factor-receptor 2 (VEGF-R1/flk-1). The immunoreactivity was analyzed using a bivariate Spearman correlation test and linear regression analysis. We found significant correlation between HIF-1alpha nuclear staining and VEGF staining. Moreover HIF-1alpha+/VEGF+ cases were associated with poor survival. We also found a positive correlation between VEGF and VEGF-R2 expression. We suggest that a HIF-1alpha/VEGF angiogenic pathway may exist in vivo in SCLC, similar to that in non-SCLC. Our data also suggest a potential VEGF/VEGFR-2 autocrine pathway in SCLC. 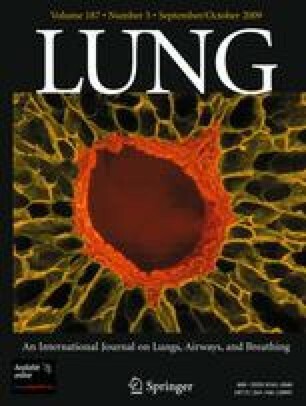 The inclusion of novel inhibitors to HIF-1alpha and other factors may optimize antiangiogenic interventions in SCLC.